Plasma Ruggedized Solutions is a leading service provider in the application of Acrylic/Silicone/Urethane coatings including; Parylene (Polyparaxylylene) Coating, potting/encapsulation, plasma etchback and desmear, BGA underfill, and laboratory services for printed circuit boards. We offer a wide variety of services across industry. Our specialized capabilities and expertise in this field make it possible for us to create custom ruggedized solutions for any application. Plasma Ruggedized Solutions specializes in the application of acrylics/silicone/urethane conformal coating services, utilizing a broad array of materials. 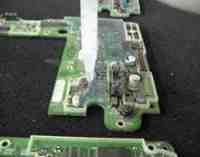 Conformal coatings offer outstanding protection from environmental factors and contaminants for electronic assemblies. We offer vacuum-deposition Parylene (Polyparaxylylene) coating services to create incredibly thin, perfectly uniform coatings. 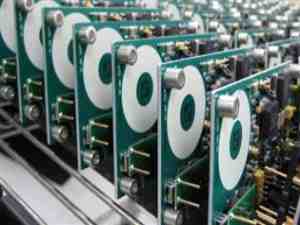 Parylene coatings offer high chemical resistance and superior electrical properties. Parylene (Polyparaxylylene) Coating is the only conformal coating material that is FDA approved for medical implantation. Our potting/encapsulation services provide a physically robust solution to protect PCBs and assemblies in challenging environments. Potting/encapsulation also enhance circuit reliability by eliminating current leakage, it also protects against voltage arcs and short circuits by preventing tin whisker growth. Plasma Ruggedized Solutions’ coatings & encapsulation services are designed to protect against functional and physical degradation of components that are exposed to challenging or harsh environments. PRS’s Coating & Encapsulation services offer superior protection without affecting the components optical or light transmission properties. We provide underfill services for BGA and other low profile components, to protect their sensitive electronic assemblies against shock and vibration. The BGA underfill services we provide are highly adaptable, allowing us to create the perfect solution for any customer requirement. Plasma Ruggedized Solutions’ plasma etchback and plasma desmear services remove drilling residue created during the manufacturing processes of PCBs. Plasma etchback and plasma desmear processes improve circuit reliability in PCBs by promoting good electrical contact, interconnects and copper through-plating. Form-in-place gasket materials are dispensed directly onto the PCBA or, its housing to replace standard o-rings and gaskets. Form-in-place gaskets provide greater protection from environmental contaminants and EMI/RFI interference and all but eliminate the possibility of gasket loss or shift. Conformal coatings may need to be removed from components for a number of reasons, including repair or refurbishing, failure analysis, functional interference caused by the coating, or incorrect coating application. Using a variety of methods and the greatest of care, Plasma Ruggedized Solutions can remove conformal coatings from your PCBs. We offer a variety of services to help optimize your components and assemblies such as conformal coating, potting/encapsulation processes. We can assist with everything from materials selection and circuit board layout design to the assembly process and more. 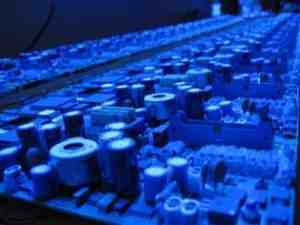 Plasma Ruggedized Solutions offers a wide variety of materials available for conformal coating, potting/encapsulating services, to match the needs of any application. We also work to develop new materials to fit new applications and to make our current processes even better. Our in-house testing, screening, and laboratory services ensure the highest quality for all coated, potted, and encapsulated parts. We can run tests before, during, and after the coating process to check a number of factors that affect the functionality and performance of treated PCBs and assemblies. At Plasma Ruggedized Solutions, we have the capabilities to repair, refurbish, and rebuild older plasma equipment. Our skilled technicians can make old machines like new again, and make them better than new by adding new functions and features to match today’s production standards. We sell these refurbished machines at a fraction of the cost of new plasma equipment, and offer an outstanding level of repair and support service, for old and new machines. We perform repairs and service in the field for our customers all over the country and around the world. information. We have some of the most technologically advanced equipment available with which to perform our conformal coating, and potting/encapsulation services. Our state-of-the-art facilities are among the finest in the industry. Click here to see our full equipment list. Plasma Ruggedized Solutions is your number one source for conformal coating, potting/encapsulation services for PCBs and electronic assemblies. The wide range of services and products we provide gives us a true competitive advantage.